Typhoon Goni reached Japan, and I spent the rainy day outdoors! Meet Mr. Shin, a biologic farmer based a short drive outside Daejeon city. A brief shopping visit turned into an marvelous tour and delicious lunch. Beside a vast amount of hot peppers, there were peaches, apples, acorn, sweet potatoes, cows, dogs and goats. The quick ‘shopping’ trip turned into an authentic lunch as his wife invited us for a warm meal. Mr. Shin is 50 and he bought the five acre land for about 400k euro in 2013 and has been land scraping, building ever since. Recently he actually started farming outside his office job and he hopes to retire and enjoy this hobby full time within in five years. The happy couple are building something nice here, not a bad way to retire! We all enjoyed the food and left with a car full of peppers. 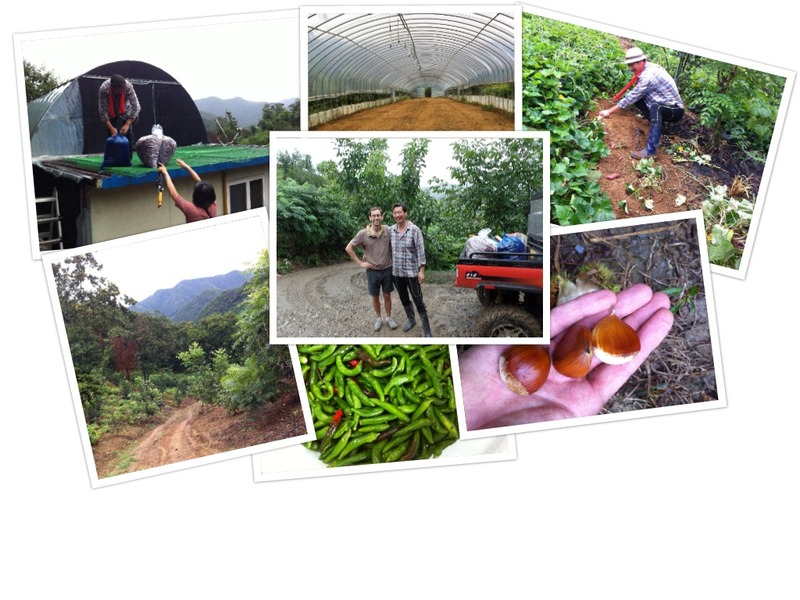 Going to enjoy a (biologic) spicy year!